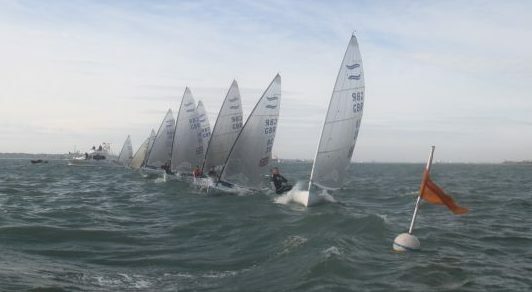 Sunshine welcomed the Finn fleet for Day 2 of the championships, a light breeze assisted the competitors down through the harbour and out into the bay. Race 1 got underway first time with around 8 knots of breeze at the start, Hector Simpson, came out of the middle of the line as the pressure gradually built and went left. At the top mark the sea breeze had started to build and the pumping flag was raised. Hector lead the fleet at the top mark followed by Ben Cornish and Marc Allain downwind once again was a great ride for the rest of the fleet. At the finish Hector `wormed` directly to the committee boat taking an advantage of an ambiguity within the sailing instructions. Ben took second from Henry Wetherell and Pete McCoy surfed past Marc for third place. 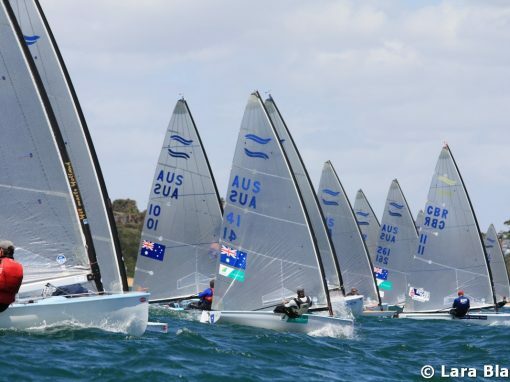 Race 2 the sea breeze has built to a solid 16 knots with the waves offering perfect downwind conditions. 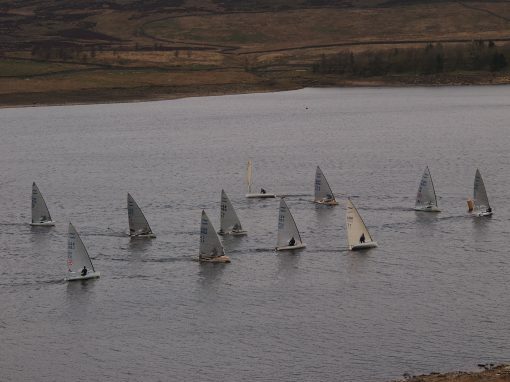 Following rig adjustments amongst the fleet, Hector `schooled` the fleet round the race course! 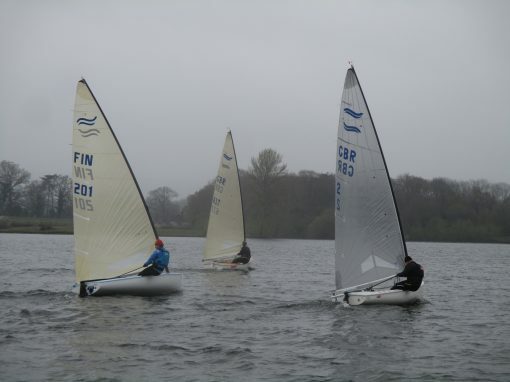 Henry overtook Ben on the final downwind to take second place, with Ben third. Race 3 and the tide had begun to ebb not before the black flag had taken a few casualties. 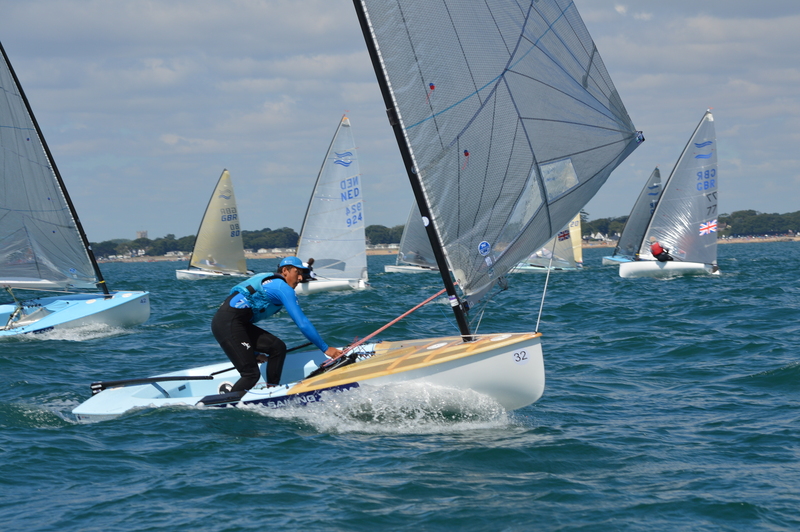 Allen Burrell showed exceptional upwind pace to drop into second place at the top mark behind Ben with Pete McCoy in third. On the downwind Pete past Allen along with Henry Wetherell. These three then had a close fought battle to the finish with Ben taking the gun from Henry and Pete. 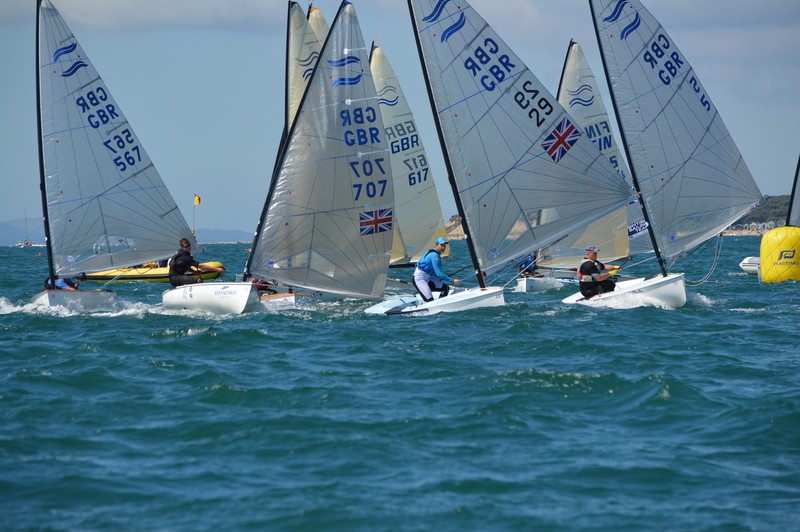 All the competitors agreed it was a sparkling day out on the water, credit to the race officers Andrew Rushworth, Chris Arnell and the Christchurch Sailing Club race team for providing great racing for the competitors. Back at the club it was the AGM and dinner to look forward to. An added bonus was Marc Allain providing some bottles of cognac from his homeland, with a fruity nose and a nutty finish what could go wrong….!! Going into the final day its close at the top with either Ben, Henry or Peter in with a shout. Roll on Sunday same conditions again please..! !